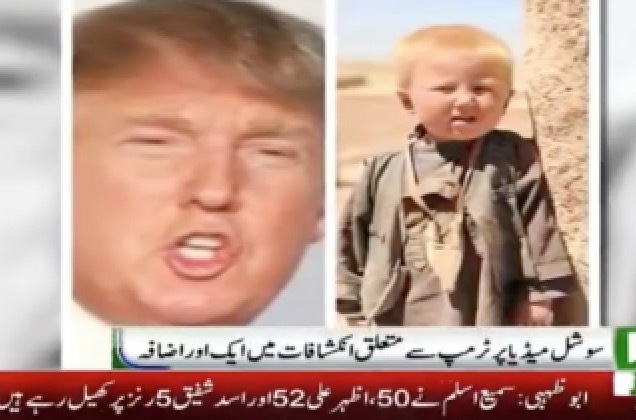 Was Donald Trump Born in Pakistan? There’s a media outlet that may or may not have bought into a conspiracy theory about how Donald Trump is a Pakistani orphan and ineligible to become America’s next president. The Times of Israel ran a report today about a viral news piece that was produced months ago by Neo News, an Urdu-language network based in Pakistan. The piece tries to turn Trump’s years of “birtherism” against him by saying that he, not President Obama, is the one who’s not a natural-born citizen of the United States. The piece states that Trump was born in the Waziristan region of Pakistan with the name of Dawood Ibrahim Khan. His parents were killed in a car accident as a child and Trump was said to have been brought to London, and eventually brought to the United States where he was adopted by the Trump family. As Metro noted, the piece has been established as a conspiracy theory, and Neo News drew backlash for running it as a credible story. As for The Times of Israel, their piece seems to defend the original report’s credibility, saying that Neo News backed up their story with tweets and a photo showing an alleged infant Trump in Pakistan. Trump stoked the birther conspiracy theory against Obama for years before he eventually conceded that Obama was a natural born citizen of America.